The Shift — Don't go at it alone. Everyone knows that day when the world supposedly forgets about the past and looks towards the future with new resolutions. However, I believe there is a serious problem with the fallacy that comes with New Year's Eve/New Year’s Day, and I want you to have the same distaste for the holiday that we just passed as well. The idea that we, as individuals, only have one chance a year at new beginnings and a new start is a farce. All the pressure we put on ourselves to make huge, life-changing declarations that we are going to do better is pointless because most of us have no plan or direction on how we are going to improve. The sad truth is that we're fooling ourselves. We set goals in our head (maybe we write them down), we start strong, and we fizzle out fast. There is really no accountability, no tracking, no real expectations. We pretty much like to tease ourselves. This is why I recommend taking New Years Eve with a grain of salt and I encourage all of you to do the same if you desire to make serious changes in your life. Sure, celebrate the holiday, but don’t fall into the trap and mindset that I described above. Instead, choose to be different. As an example, I desire to be a high-achiever. I seek to treat every day like it's January 1st. I am so goal-oriented that the real January 1st means nothing to me. January 1st is just like any another day of the year. It’s another fresh start. A new opportunity to improve. A new way to shift, and luckily high-achievers know a thing or two about shifts. 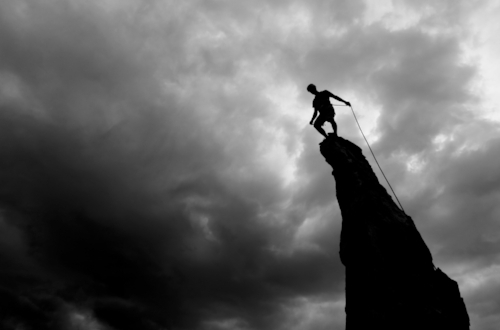 Most of us desire to be a high-achiever. Let me take that back - most of us desire to be successful (based on how we personally define success). Unfortunately, most of us do not want to put in the work to achieve this level of greatness. We dream and admire those who have made it. Yet, we don’t execute the activities and actions that (at least) open us up to these opportunities. We become stuck. We fall into a routine and we wind up surrounding ourselves with people who are just like us. High achievers have a competitive nature, they are persistence and innovative thinkers. They are never satisfied for long and are able to see and buy into the bigger picture. High achievers can implement new ideas and skills quickly and are very convincing and persuasive. They see problems as opportunity, and they love to win. They are passionate about learning. They attempt to put what they’ve learned into action the day after a class or after reading about a new way of doing things. Unfortunately, most of us want the outcome but are not willing to put in the work (even if the work is not physically taxing). It takes grit, determination, perseverance, and will. The kind that allows you to get up early and stay up late, to miss the social gatherings that your friends are having, to turn off the phone for hours. And you can gain a high-achievers mindset by partnering with someone who also has a high-achievers mindset or it striving towards one as well. The above actions become second nature to those that are high-achievers. Having a personality that supports their regimen makes the process easier, especially when they are following a passion and even when success does not come quick. For these individuals, the grind of the climb to success is often just as fulfilling as the outcome itself. Becoming a high-achiever is also a mindset. It’s a mentality. It’s not what society or the media sees as glamorous. It’s not being available for prime-time television. It’s not sitting in front of a game for 2-½ hours every other day. It’s different. It’s weird to most (until the success comes). It’s a lifestyle. Sure, it can be well-rounded and balanced, but it has to be intentional - you have to be intentional. Is this in you? I did not write this article with the intention of painting the picture that you must be an alien who does not exist in this world. It does not mean that you must wear different clothes or disown your relatives. But what it does require is a shift in your mindset. A shift in your mentality. From one that not only desires better for their business and/or career but has the determination to do something about it. And not just today, but forever. This difference, however, cannot be accomplished alone. You cannot change your life or mindset while in a silo. It will be important to surround yourself with individuals who are there already or who desire to get there as well. I often like to relate this shift to the gym workout scenario. When we are in the gym alone, we don’t achieve as many gains or results compared to when we workout with a partner or a coach. This individual becomes an accountability partner of sorts, especially if they are also dedicated. In our business and career, however, we often continue to do the same things over and over again or slip back into a similar routine that gets us nowhere. Or, we subscribe to someone else’s path or goals for our own business/career. And oftentimes, what others prescribe for us is not what we were called to do. Ask yourself if your dreams are truly being fulfilled. Really reflect on where you are in your life relative to where you would like to be. Identify this gap. Write it down. Begin surrounding yourself with individuals who also have a growth mindset. This does not mean cutting off friends and relatives. It just means increasing your network. Expanding your circle. Identify one of those individuals in #2 to hold you accountable. (Someone you know who will take this role seriously.) Just like in the gym, you may have to reciprocate. Be for them what you need them to be to you. Execute, then reflect. Plans and strategies are nothing without execution. They are just dreams. Continue to dream. Just start making them a reality. This is not complicated. It is not brain-science (or trigonometry, as I tell my students). It truly is time to get the momentum going in your business and/or career. Your next level is waiting. If you cannot identify a circle of individuals/friends who fit the mold of this growth mindset, then it’s time for you to invest in an individual who will focus on your dreams and outcomes with you. It’s time to invest in a fearless coach or mentor who is geared towards taking you to the next level. Similarly to the gains in the gym and shedding those pounds, a coach in your career will allow you to evolve into the supreme being that you are. Allow this individual to help you shift your mindset! Lastly, life will continue to present hurdles, roadblocks, and obstacles that will hinder your journey. They may even discourage you. This is normal. You will be OK because your mindset has shifted now. You have evolved. You are becoming a high-achiever. For more information about incorporating high-performance principles into your business and/or career, subscribe to this blog and setup a conversation with me today!